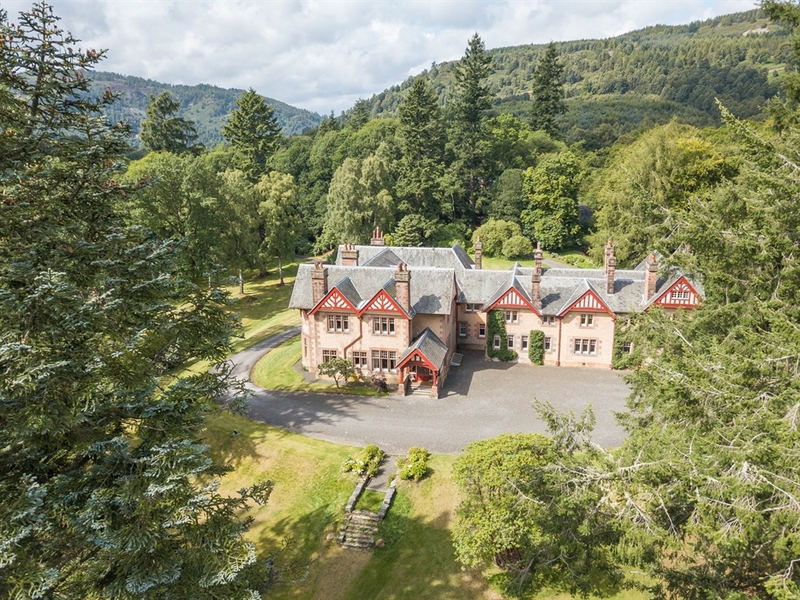 With spectacular views over the Perthshire countryside, this majestic Victorian house sits grandly in the quiet setting of a working estate. 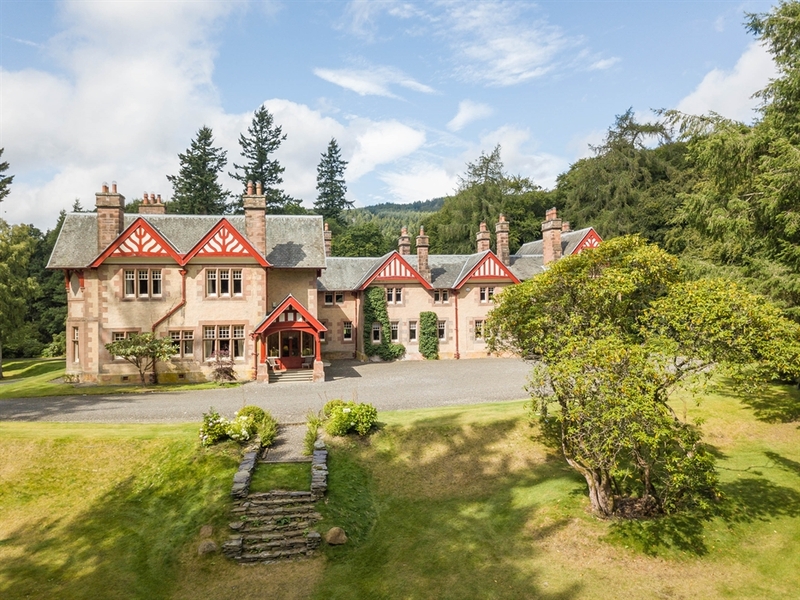 Set in an elevated position with countryside views across the rolling Perthshire hills, Dungarthill House is a magnificent Victorian property situated near Dunkeld. 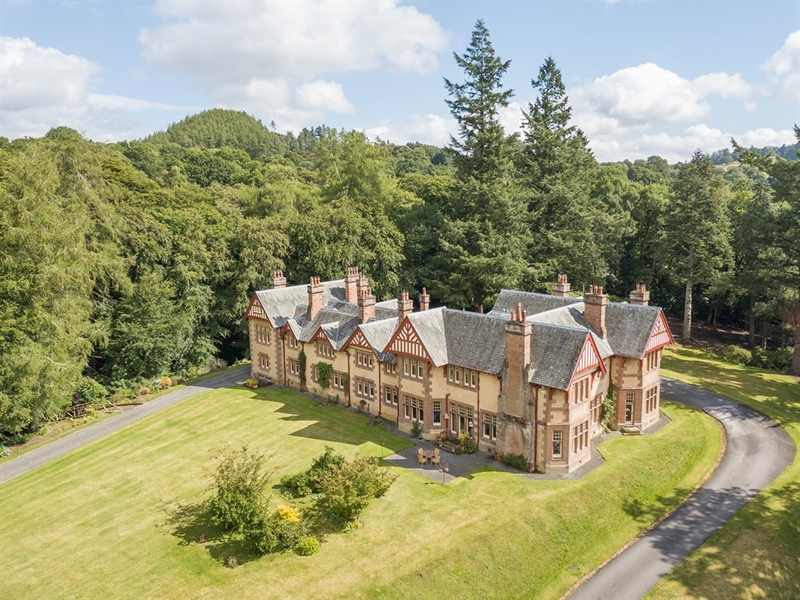 The sweeping woodland drive up to the house adds to the majestic feel of this grand country house, and the secluded location provides holidaymakers with total privacy during their break in this wonderful home. 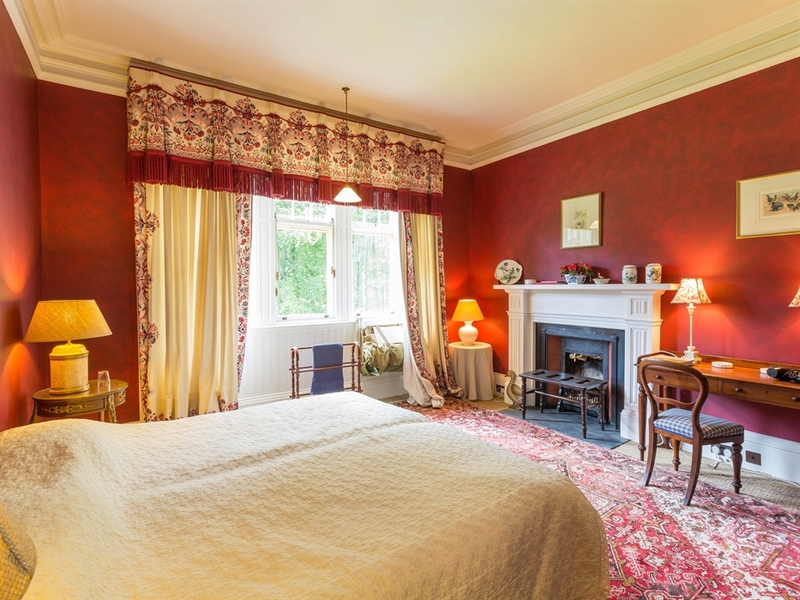 Dungarthill is a delightful, traditionally furnished home that was often used for shooting parties on the estate, and is perfect for family celebrations and large groups. 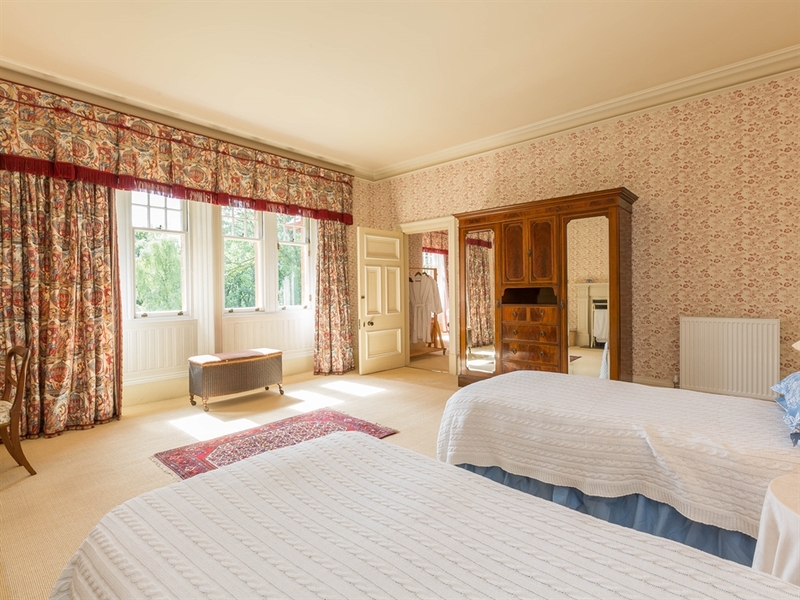 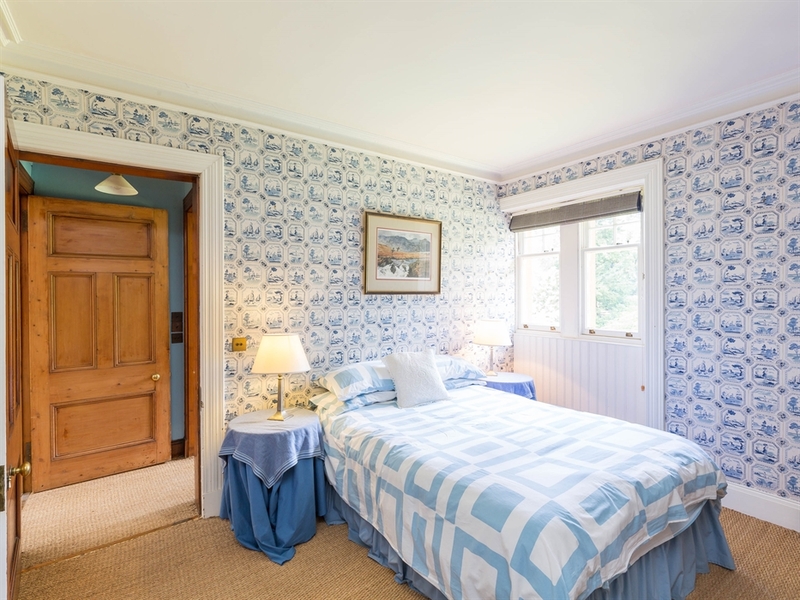 The house is spacious and bright, and most of the bedrooms benefit from beautiful views across the garden. 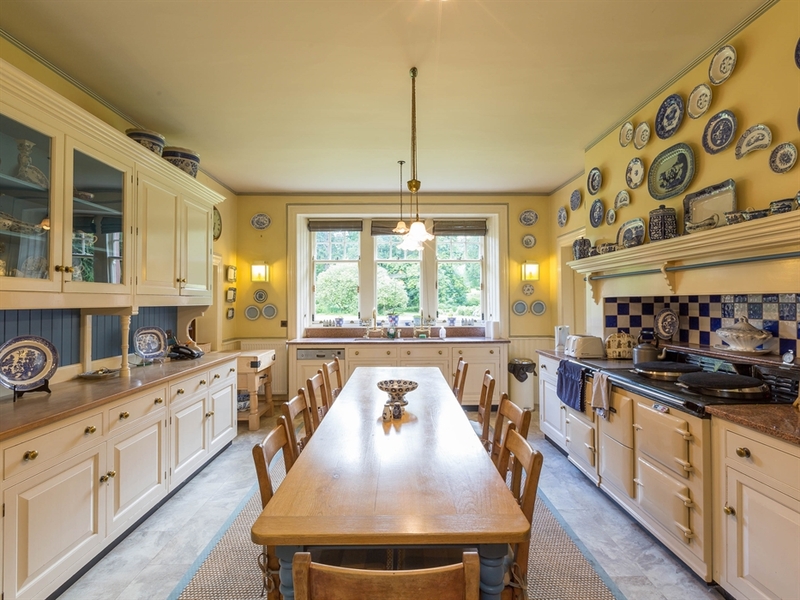 The modern kitchen contains a large bench which is perfect for breakfast time, with the added benefit of an Aga which is sure to be a hit with the chef of the party. 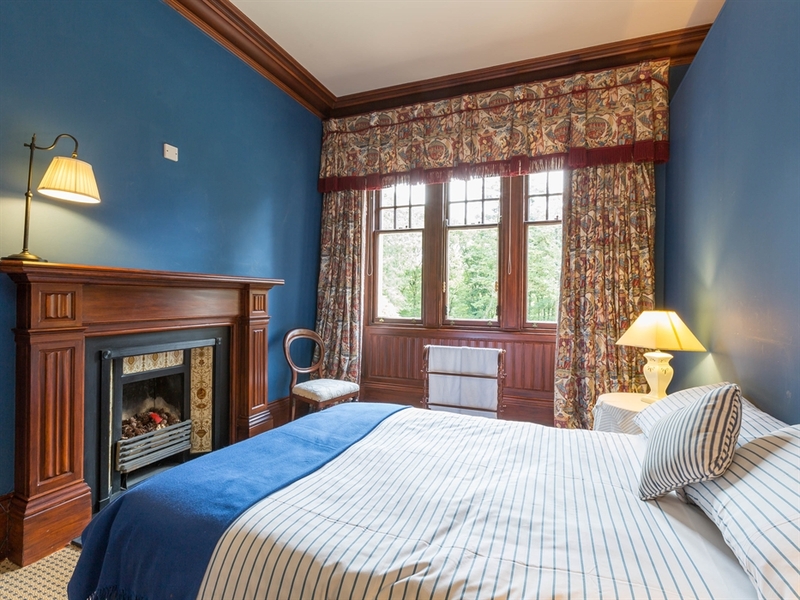 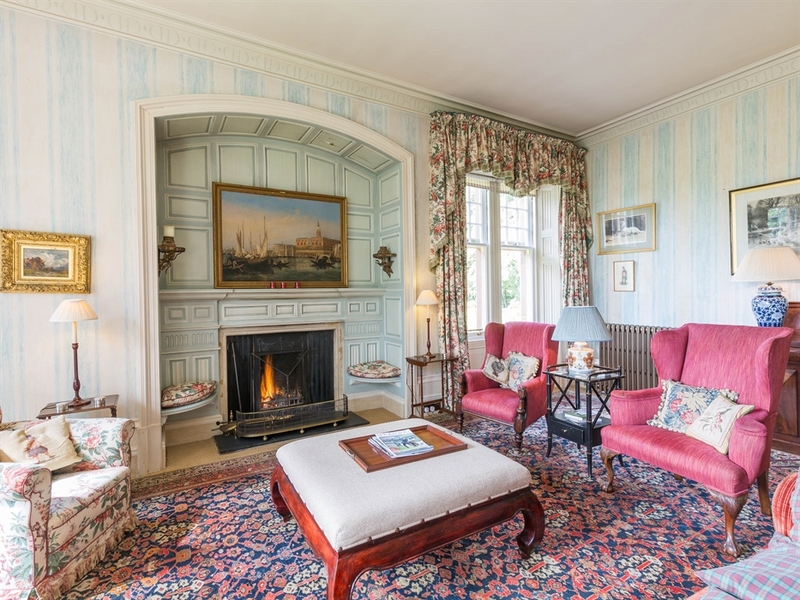 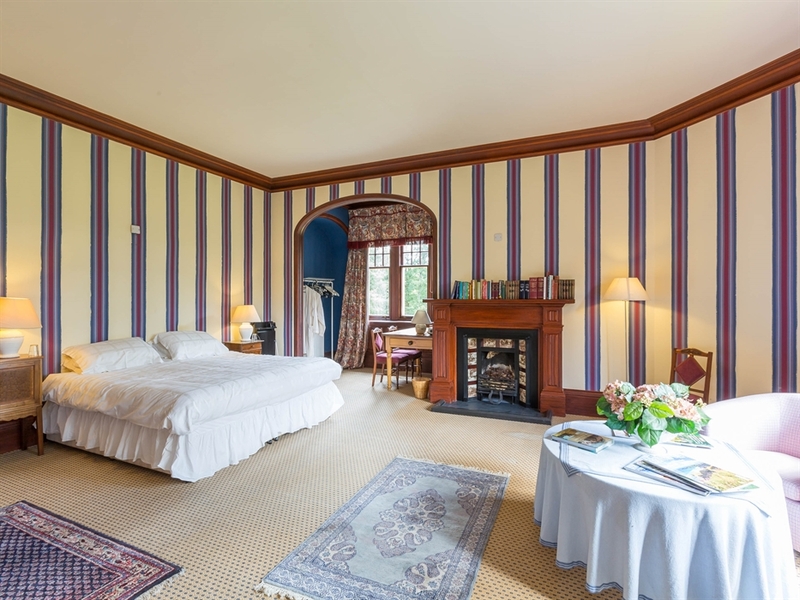 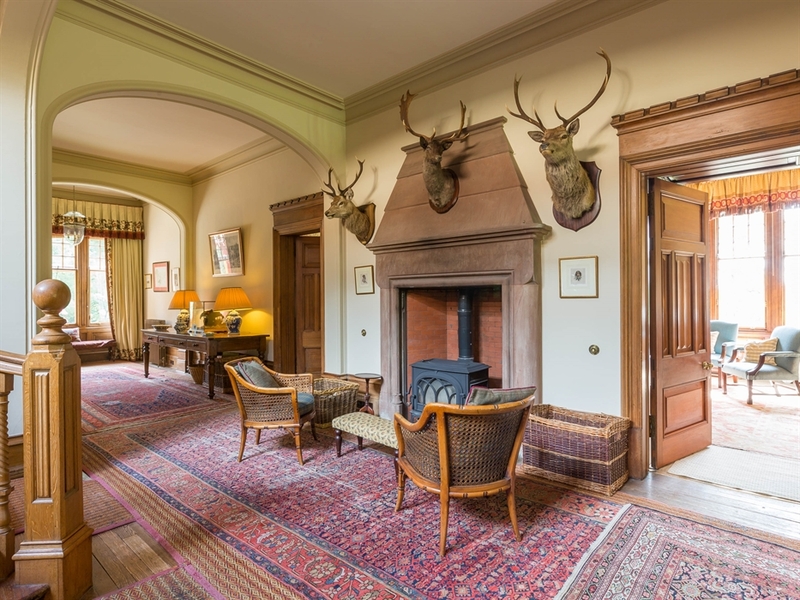 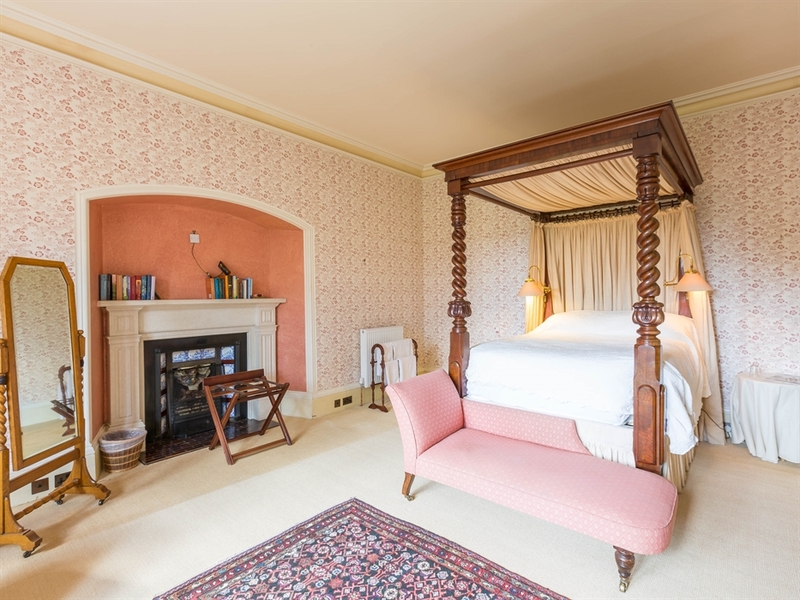 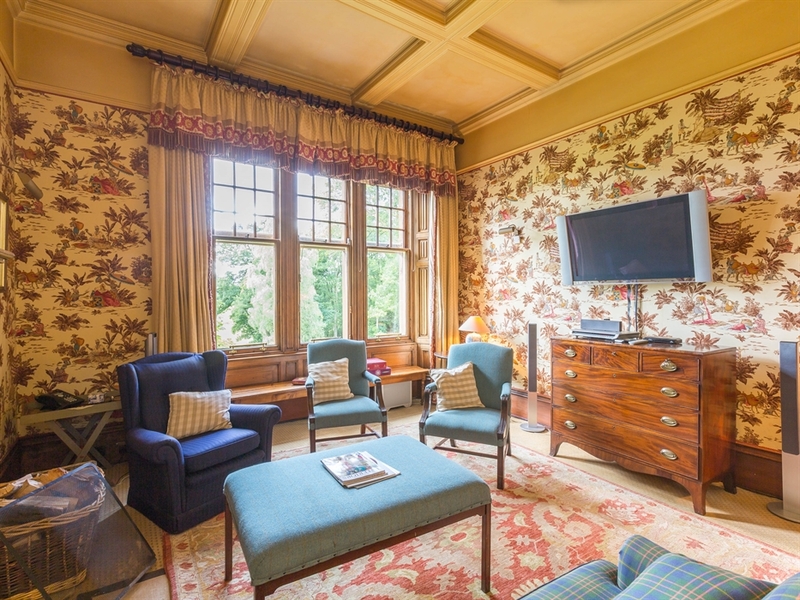 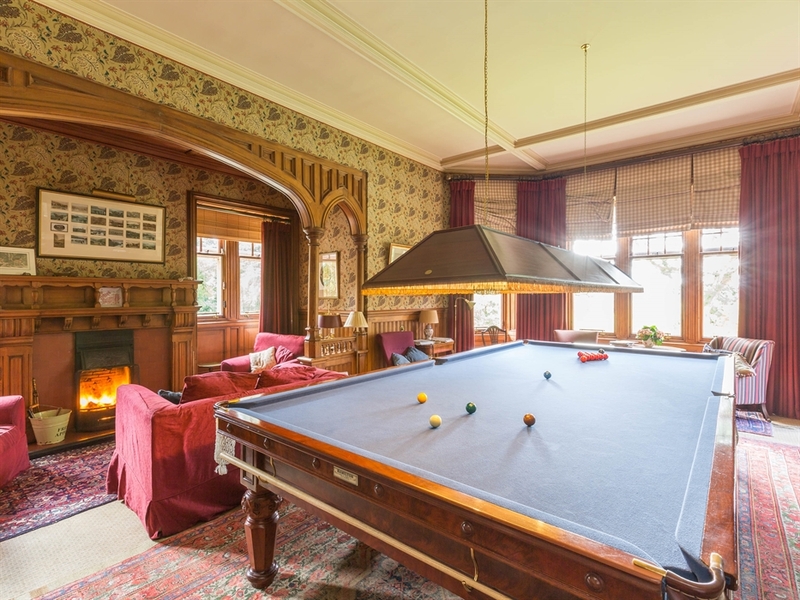 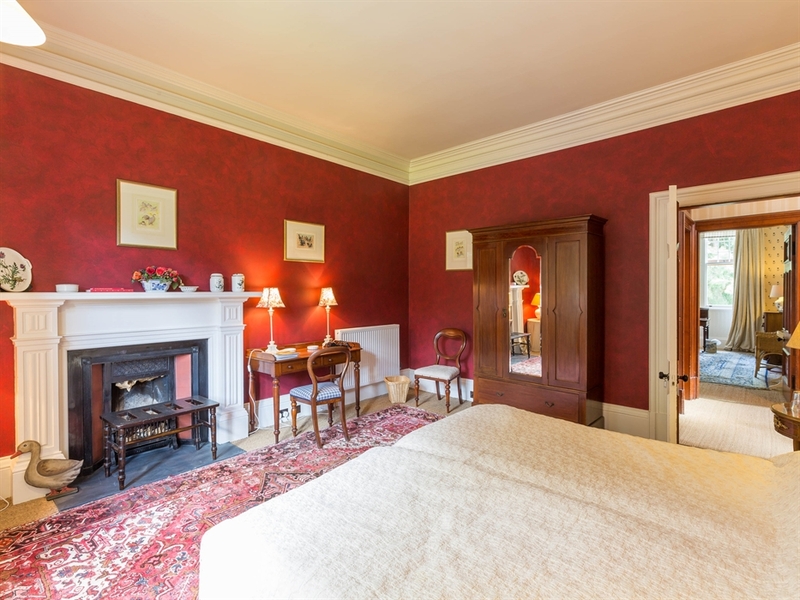 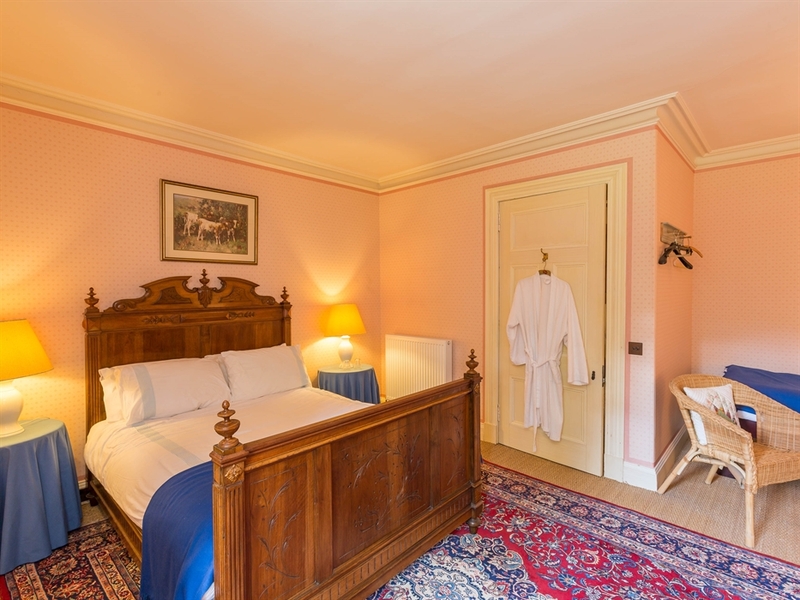 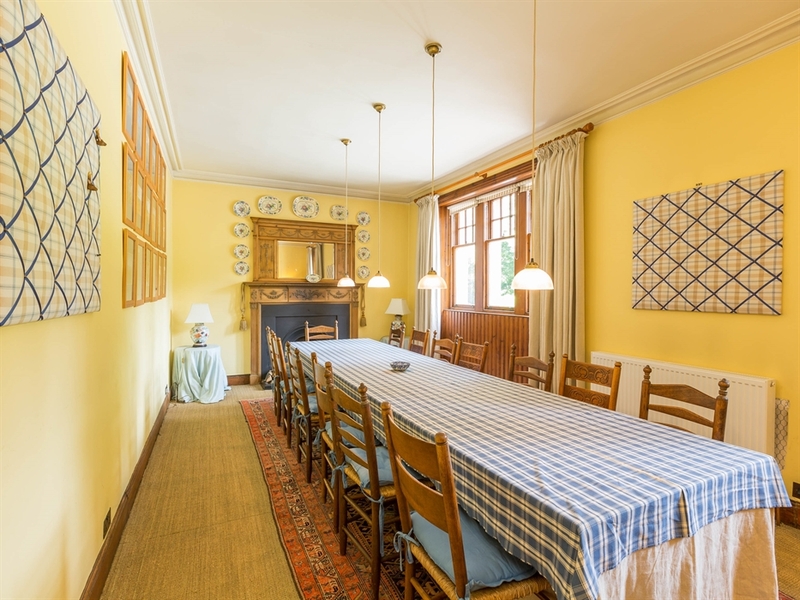 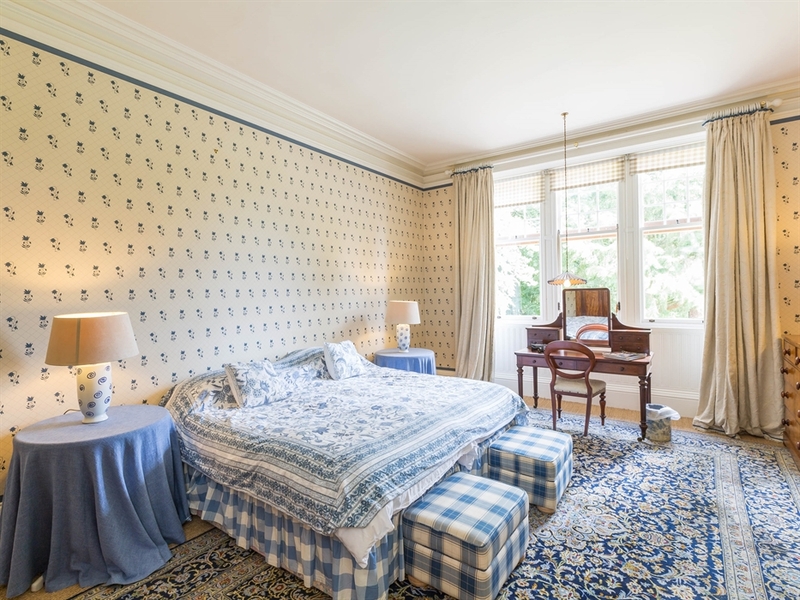 There are various rooms in the house that are perfect for socialising, including a billiards room, formal dining room and the drawing room, with seating areas in the large hallway where you can cosy up in front of the fire with a dram in hand. 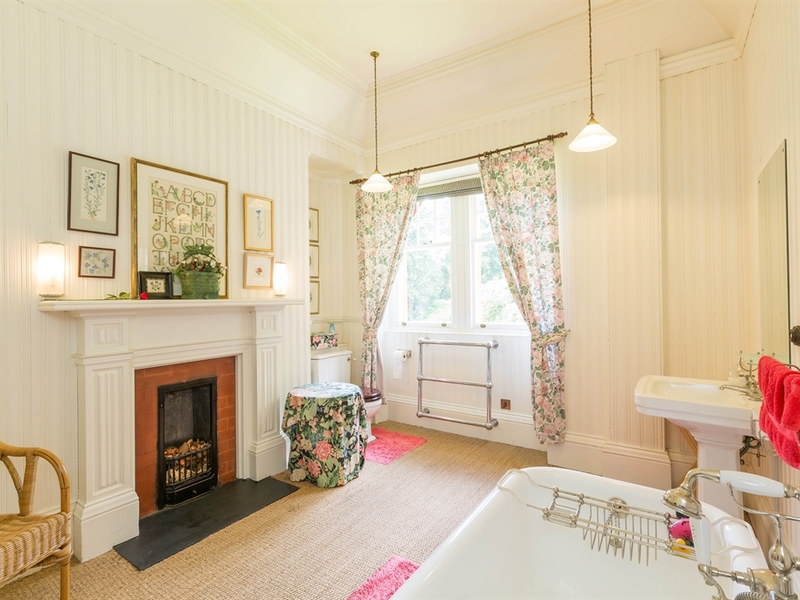 Most of the rooms in this house have working fires too. 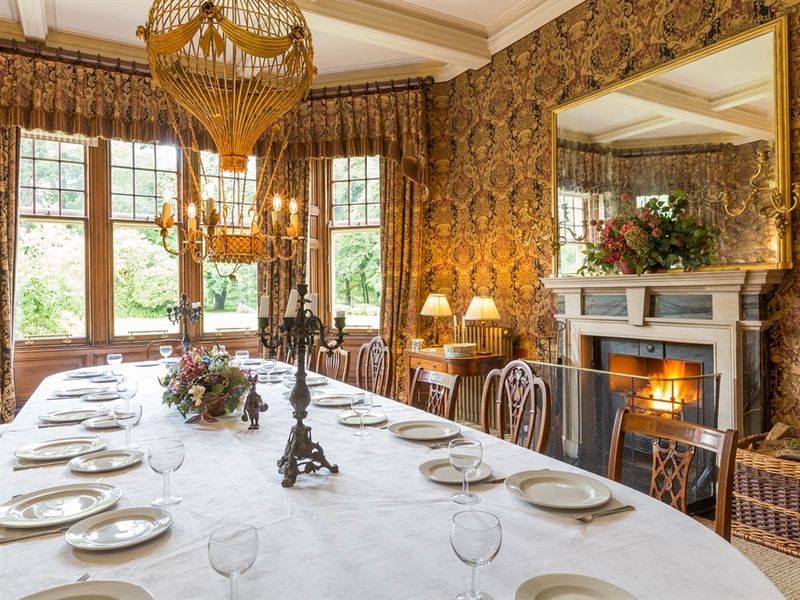 Look out for some of the quirky features that were added to the property by a previous owner, such as the unique ‘hot air balloon’ chandelier in the dining room and the interesting patterns on some of the curtains! 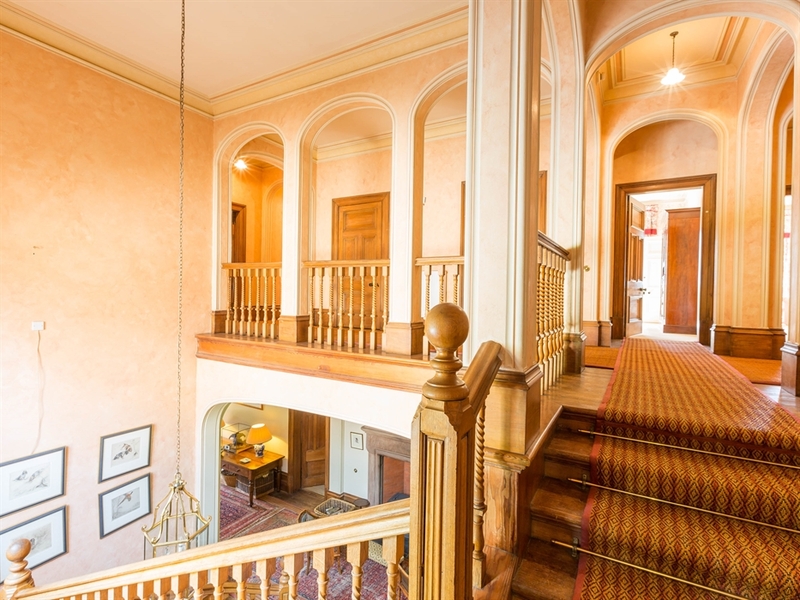 Outside, there is a small patio area that leads from a small seating area in the hallway. 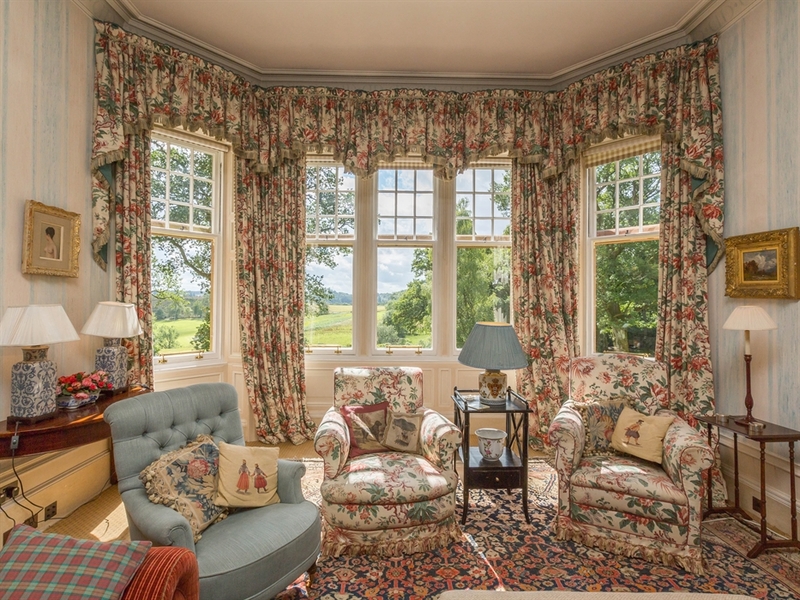 You are sure to spend many evenings out here in the summertime whilst you admire the Scottish countryside that surrounds you. 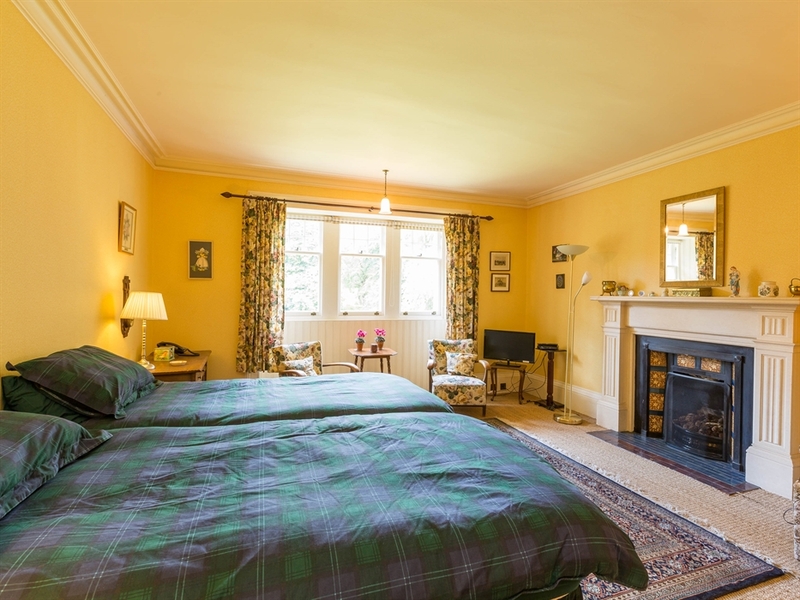 Renowned for its scenery, Dunkeld has something that will appeal to everyone. 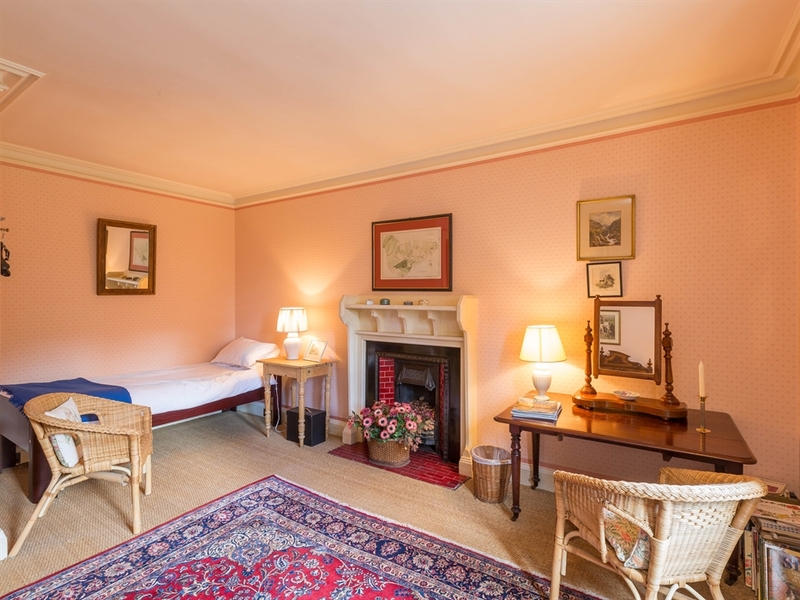 Dungarthill House is within easy reach of numerous distilleries, castles and other historic towns. 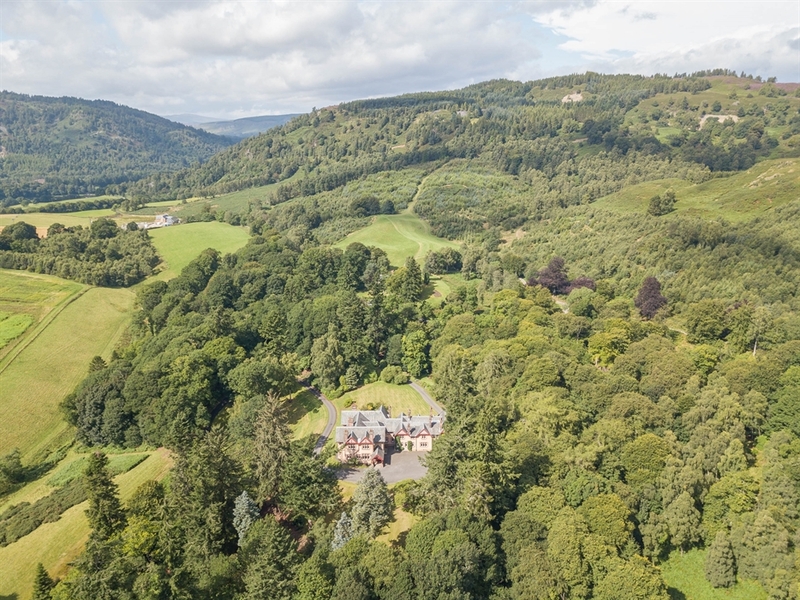 From golfing and fishing to shooting and hillwalking, you are sure to have an enjoyable holiday – however you decide to spend it - in this wonderful area of Perthshire.